Have the original cd since 96 and I must say this vinyl reissue sounds a bit better to my ears. No great difference anyway, just some improvement in sound depth. Very quiet too. I have read on the internet that this pressing beats the first 96 clear pressing, which apparently came also from a digital source. Unfortunately can't compare. I tripped over this in a record store in 1997 and thought, "huh, Soundgarden's newest album on vinyl in this day. I should buy that." I did, and it's the only Soundgarden album I have on vinyl. Great packaging and just sounds good. Glad I went for that impulse purchase. Fantastic pressing. Just received from the UK and on side 3 and I am impressed. Great sound, flat, nice sonic dimensions. Was this release remastered for vinyl? A lot of 90s records just used the CD masters for their vinyl releases. My copy sounds great! Very quiet and flat..almost makes me think Rainbo is cleaning up their act? Having heard the original I think this master is not as good it's to bright in all the wrong places and dosnt have the same low punch sounds very mid high, could have taken a little better care tbh. Man I've got to disagree with rchecka here -- this is not only a fantastic remaster; I'd go so far as to say it is one of the single most impressive sounding records in my collection. But then again, I thought the Superunknown remaster was pretty bad and rchecka liked it so who knows...to each their own! For me, nothing wrong with this reissue. Sounds good on my system. I agree the nuances do stand out more but IMO that's a good thing. Each to their own though. Does anyone know does this come with I an insert with lyrics? Unlike the recent Superunknown remastered vinyl reissue this is a terrible remaster. Sometimes it's better to just leave well enough alone rather than try to fix what wasn't really broken in the first place just for the benefit of a hype sticker that says "Remastered." They took this recording and brought all the subtle quieter nuances to the front making it way too loud and fatiguing on the ears. I bought this and sold it as soon at a loss. I'll stick with the CD or buy the original pressing if I can ever find one priced right. This album sounds amazing! 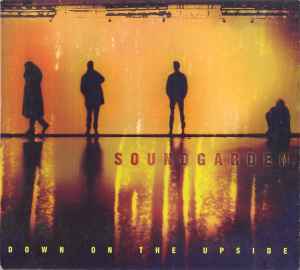 Its my second favorite Soundgarden album and well worth picking up.